Note: The FMC-CH17-AC is an empty chassis. Picture is showing chassis fully loaded. Please check the other pictures available. 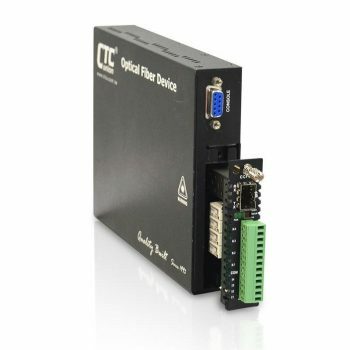 FMC-CH17 series is one of the newest and most cost effective fiber aggregation solution. 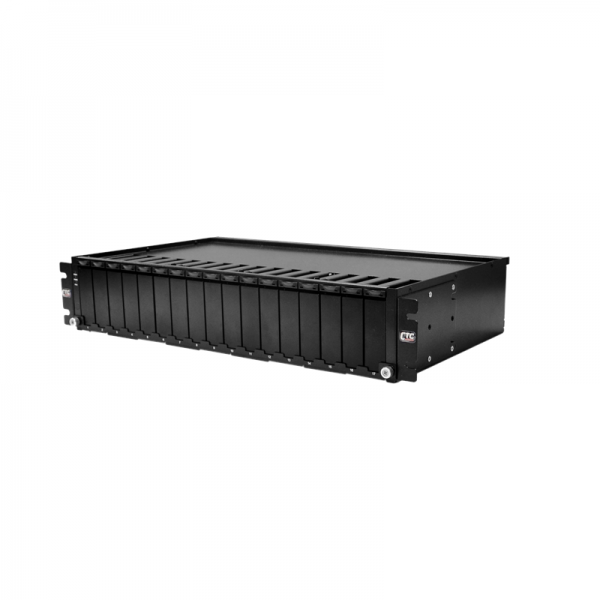 The chassis has only 2U and can accommodate 17 units of FMC series media converters. 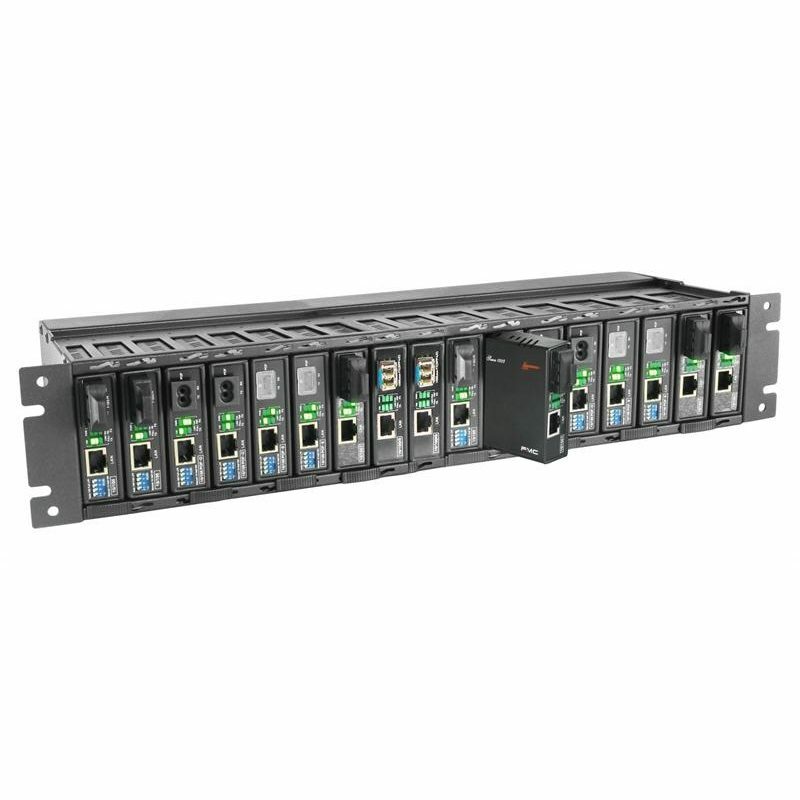 The 17 slot chassis is designed to fit a 19″ wide telco rack system, placing up to 17 fiber media converters or VDSL2 modems on just 2U space height. Structure of FMC chassis is simple and straightforward. There is only one AC switching power supply with 90V-240V input. 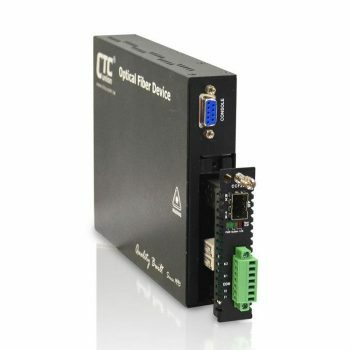 There are no centralized management features, however, the FMC series of media converters support many features like?FEF? (Far-End-Fault) signaling and?LFP? (Link-Fault-Pass?through) function. Media converters are switching type, store-and-forward mechanism, and are able to work Half/Full Duplex mode. 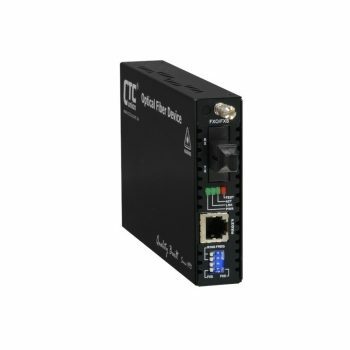 The FMC-CH17-AC is a perfect choice for small aggregation nodes in a fiber network environment. Up to 17 fiber media converters can be put together in a chassis and benefit from a single power supply, saving precious space in the data networking design.